You can edit the title of each template. 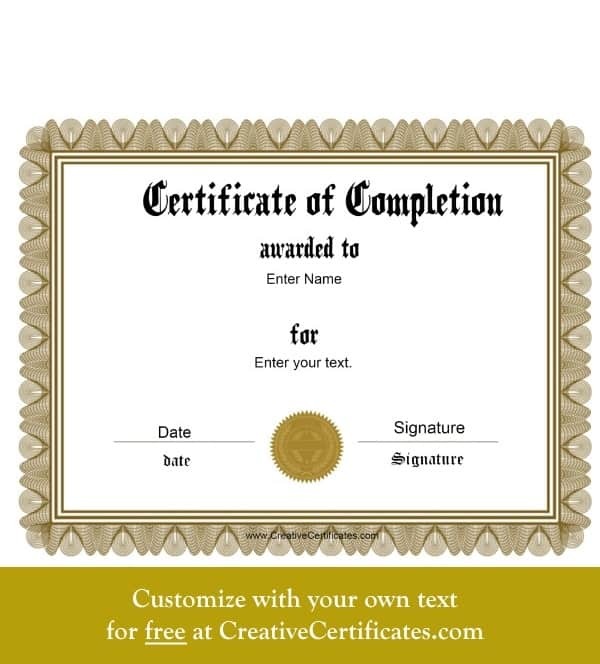 For example, instead of “Certificate of Completion” you can write “Certificate of Substantial Completion” or “Training Completion Certificate”. 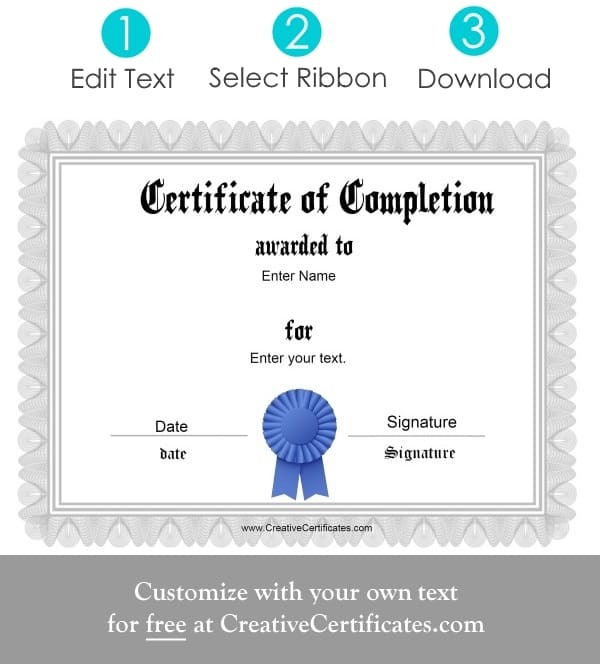 On the templates with colored ribbons you can also select the award ribbon. 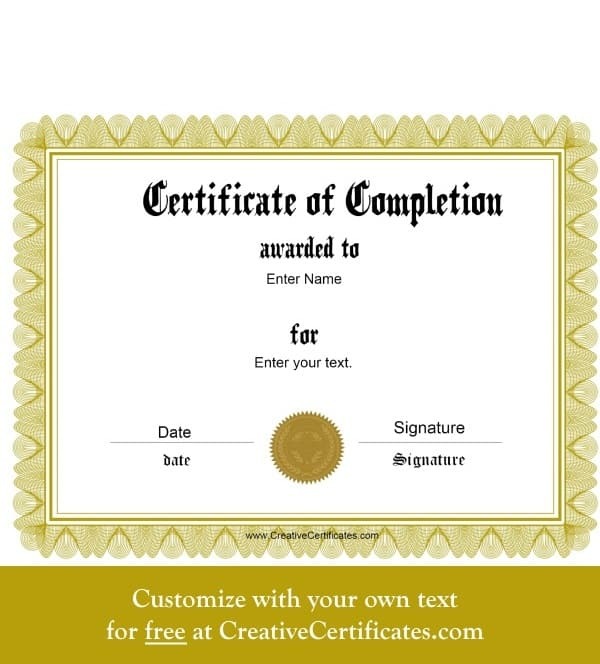 A certificate of completion is often awarded by a school, organization or institution for completing a course, class or academic program. The award can be presented to students for passing the course or simply for attending if no examination was required. Most institutions require a minimum level of attendance in order to be eligible. 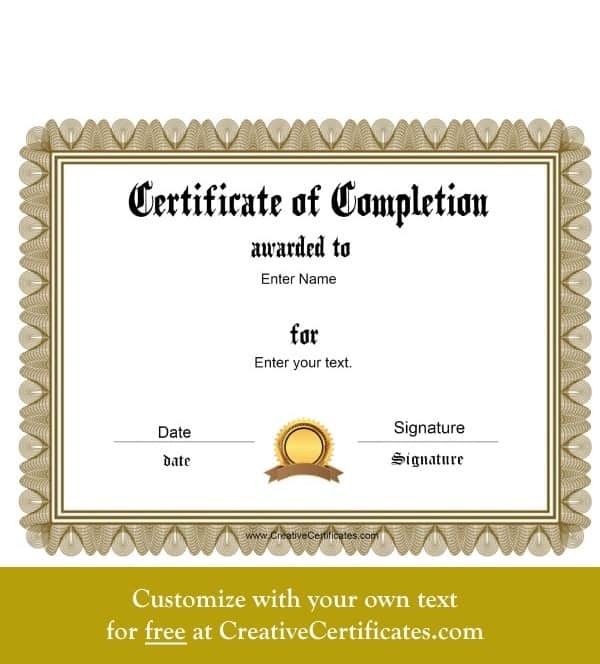 What information should a certificate of completion template include? You can customize the award in any way you see fit but we suggest that you include the following information: the name of the institution presenting the award, the name of the recipient, the name of the course or program completed, the signature of the person with the authority to issue the certificate and the date. You can add additional information such as the level achieved, the duration of the program or a summary of the syllabus. To create a professional looking template include your school or institution’s logo. To add a logo click on the image icon. Who can use these certificates of completion? A school or institution for completing a course of study or a program. An organization or company for completing on-the-job training. Teachers for completing a school year or a project or assignment. Parents to award for kids for completing chores or tasks. Schools to award students for completing high school, middle school or primary school. It really depends on the organization and the length of the program. Many institutes require 75% to 80% attendance in order to qualify. Others require at least 90%. 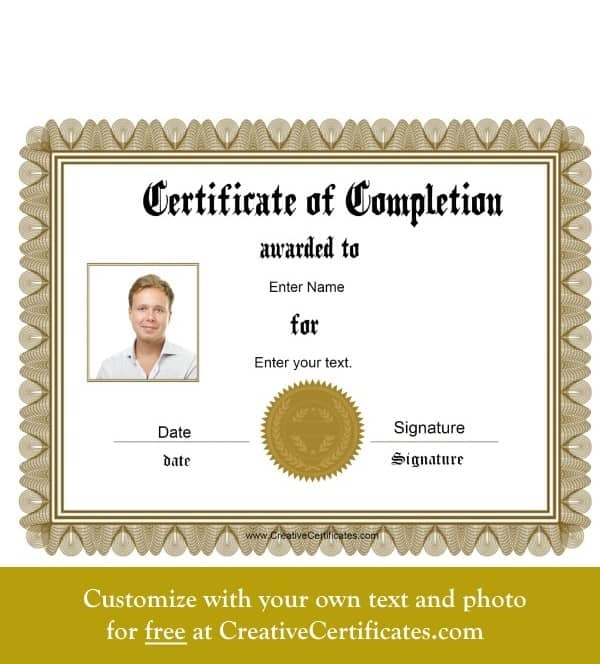 What if I don’t find a suitable certificate template on this page? 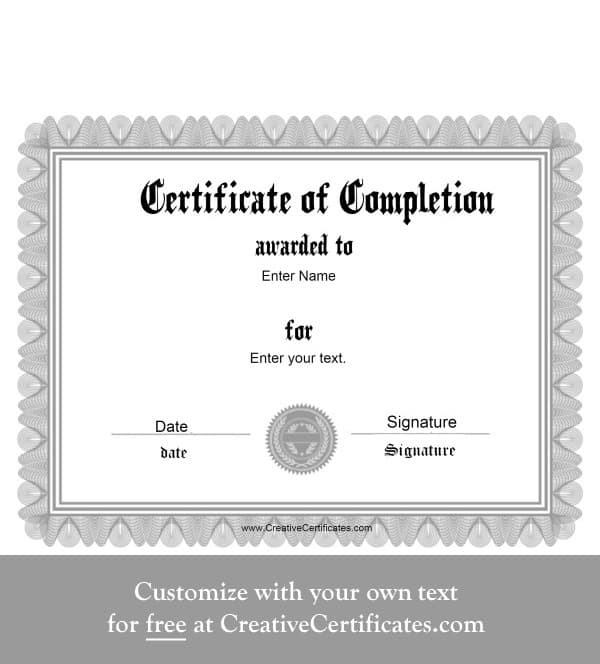 There are many certificate templates on this site that you can customize for any purpose. 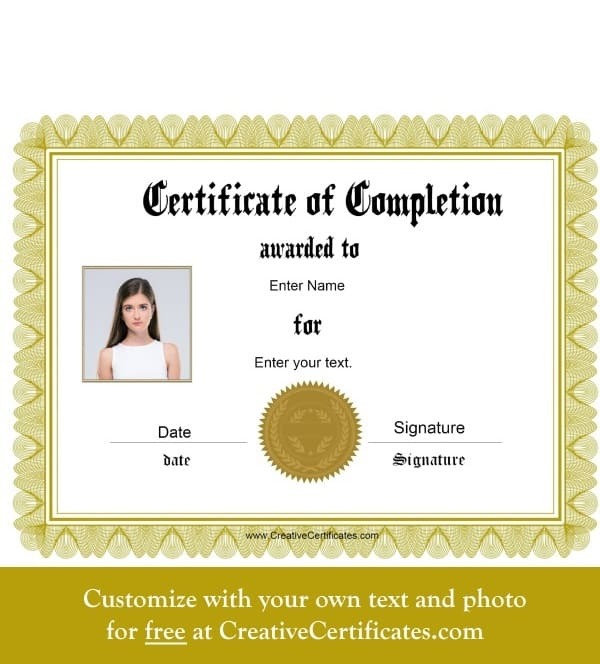 If you did not find a certificate that you liked on this page then you can create your own certificate template with any text. 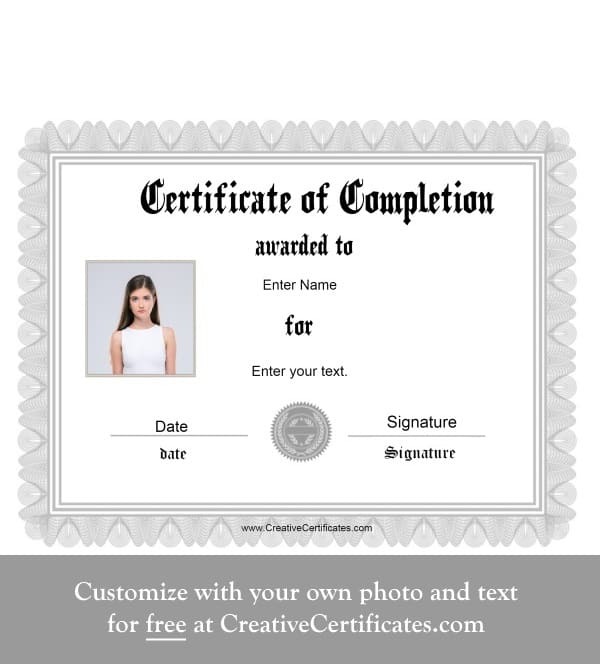 Open our certificate maker to start editing any template.